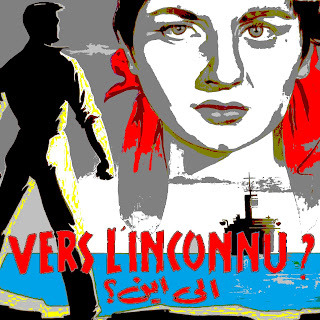 Very few Lebanese know that our first entry in the Cannes festival was in the year 1957, with Georges Nasser's film "Ila Ayn?" (Vers l'inconnu?) which speaks of issues of immigration of the working class (a theme very much in vogue today). As Cannes festival celebrates its 70th anniversary, it will be screening in "Cannes Classics" the category of the films which have marked the croisette. If you wish to read the story of how the restoration of the film, please go here. I, for one, am glad this is happening as a testimony of some of the artistic legacy of both, Nasser, and Lebanon at large.